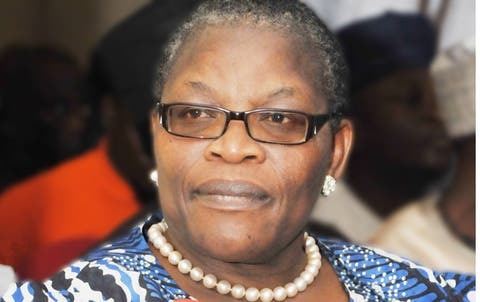 A former Minister of Education, Dr. Obiageli Ezekwesili, on Friday reacted to the claims by the Allied Congress Party of Nigeria (ACPN) following her withdrawal from the presidential race, describing the allegations as lies. Ezekwesili claimed that she decided to sacrifice her candidacy to uphold her values by withdrawing from the race after realising the divergence of her values and vision with the leadership of the party. She claimed, “Nigeria and Nigerians deserve a new order of ethical, competent and capable leadership. I had earlier assumed the ACPN was aligned with me to offer that, until it proved otherwise. The values and vision divergence with the party was a key factor that triggered my withdrawal from the presidential race on their ticket prompting me to dissociate immediately in order to help build a coalition for Good Governance. It is why I was instant in sacrificing my candidacy to uphold my values by withdrawing”. “The party leadership’s transactional approach to politics began to manifest in their attitude following after the convention that adopted me as their presidential candidate. All who know me can attest that I detest transactional mindset. I would have none of such and therefore extremely delighted to part ways after a tumultuous three months of hoping that the ACPN leadership would elevate to the new values of disruptive politics that one had desired for and preached within the party.